Here come the baby ponies! 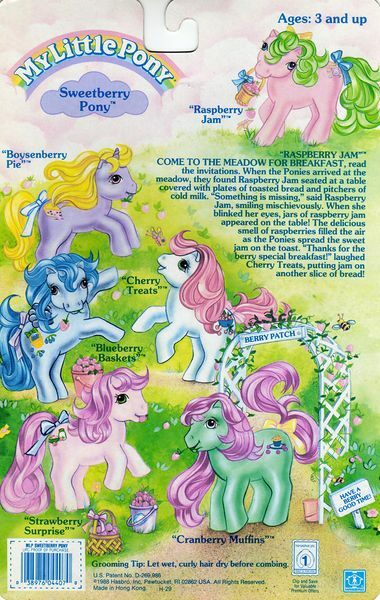 Do you remember the original baby pony lineup from the original G1 Hasbro lineup? Bet you don’t! Check em all out on the work-in-progress page and if you happen to have any backcard stories please contribute to help build this page! Learn more at Baby Ponies! on Yello80s.com ! 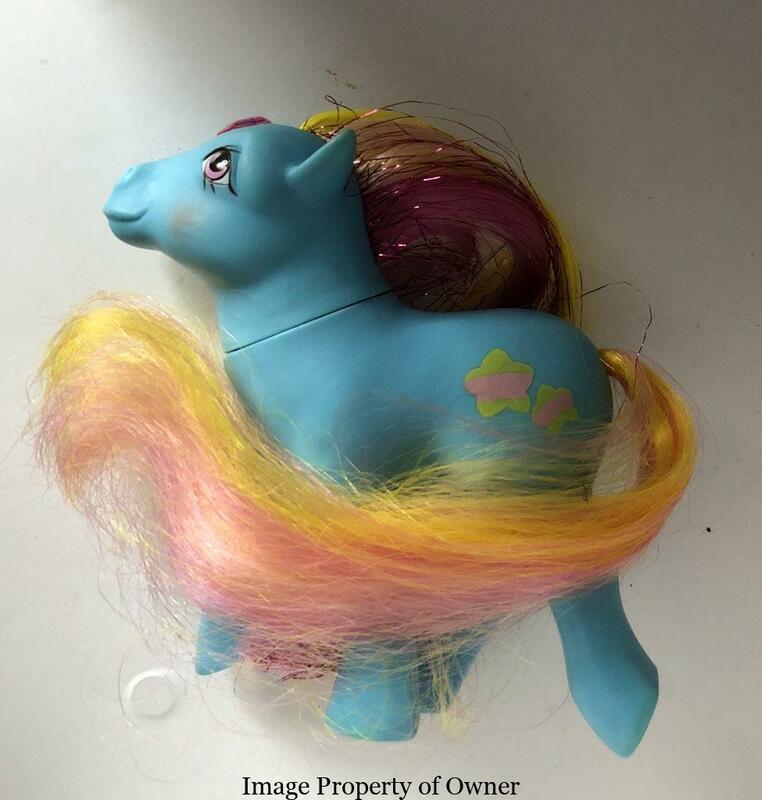 baby pony g1 Hasbro mlp My Little Pony yello80sLeave a Comment on Here come the baby ponies! How cute is a baby pony? 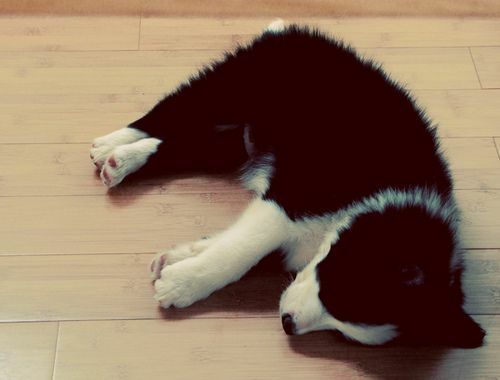 Like a million times cuter when they can turn their heads up and give you those adorable little baby eyes, that’s how cute! 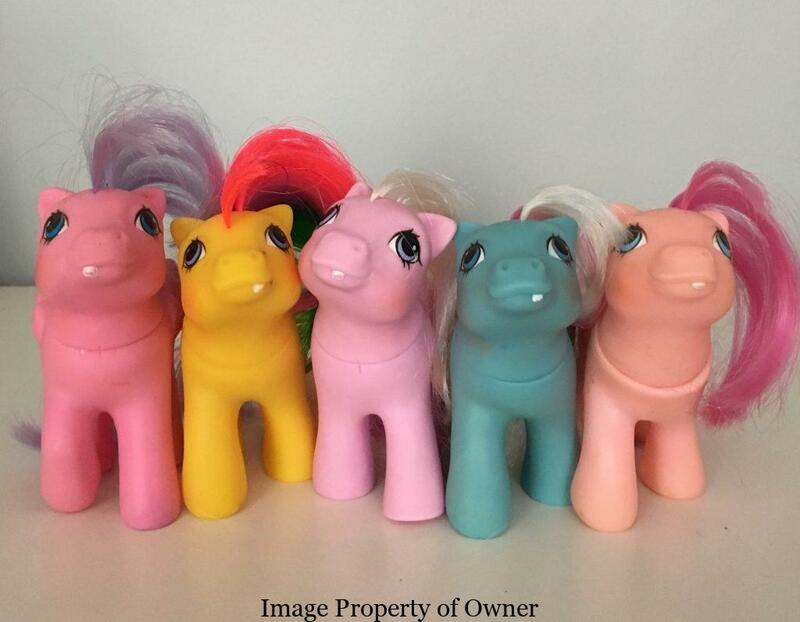 Peek-a-Boo Baby Ponies were part of the G1 line from Hasbro and featured turnable heads you could pose. Learn more about them on the updated Peek-a-Boo Baby pony page on Yello80s.com ! 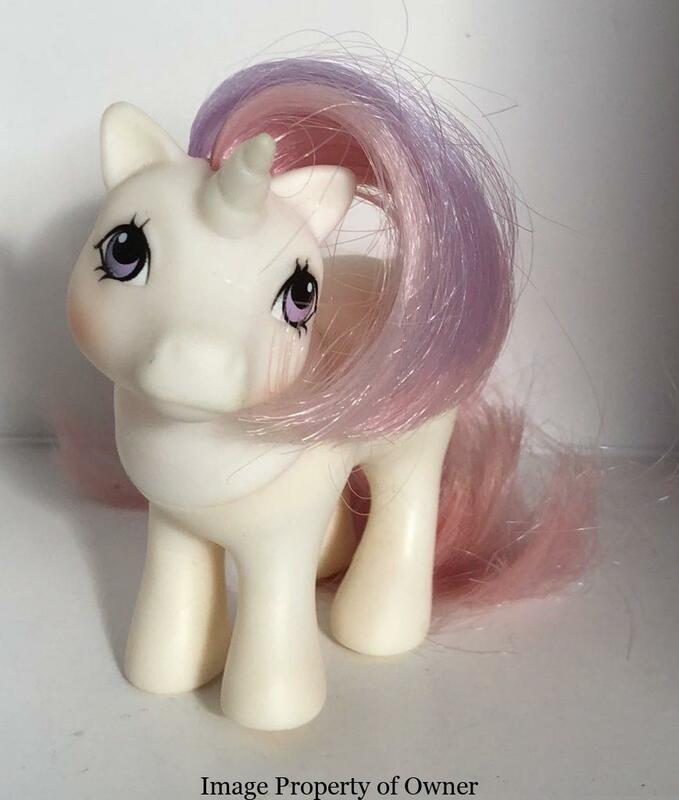 The thing I loved about First Tooth Baby ponies as a kid (and a collector!) was all that cool stuff they came with- especially those adorable little tubes of toothpaste and toothbrushes. 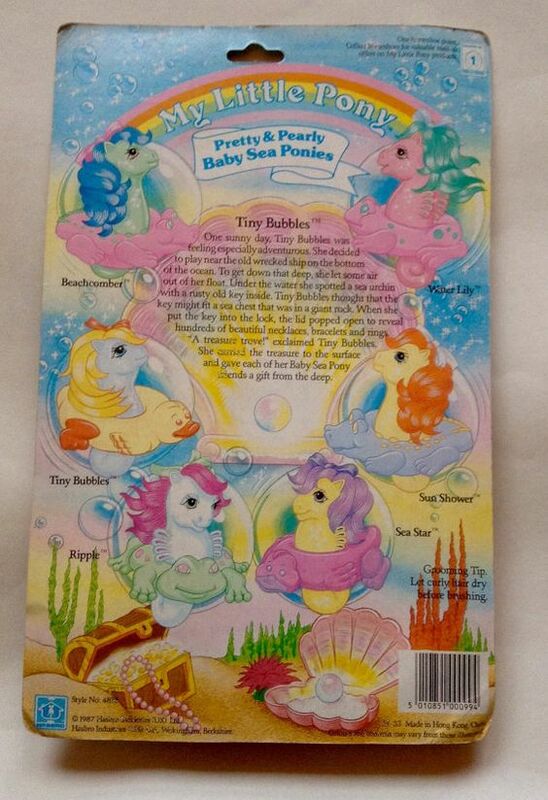 Learn all about them in the new update to the First Tooth Baby Pony page here on Yello80s.com ! 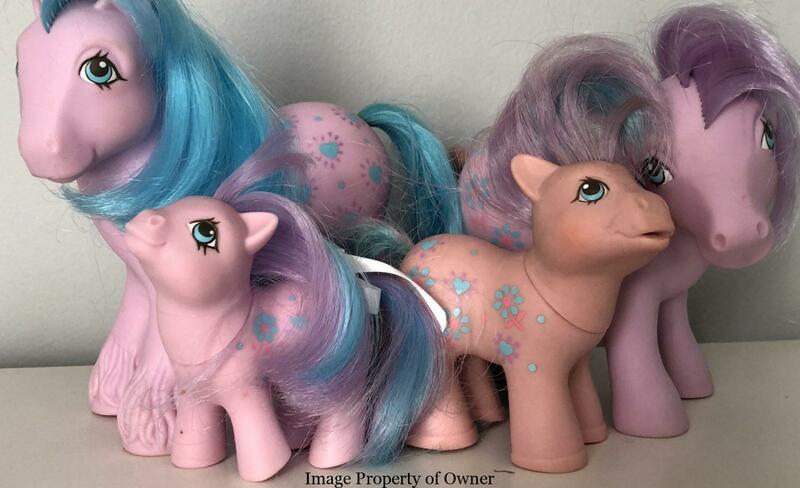 While there were several sizes of My Little Ponies released throughout the G1 line by Hasbro, the absolute smallest had a pretty big collection: The Petite Ponies. Think of these like the Micro Machines of My Little Ponies and check em out at the newly updated Petite Pony page here on Yello80s. Are you a fan of long, luxurious pony manes and tails billowing in the wind? 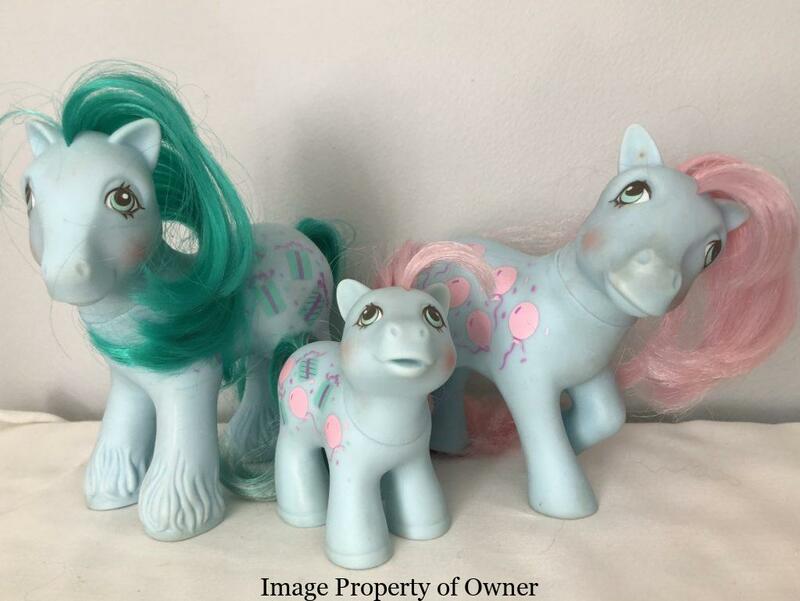 Then you’re gonna love the G1 line of Brush n Grow ponies from year 6! 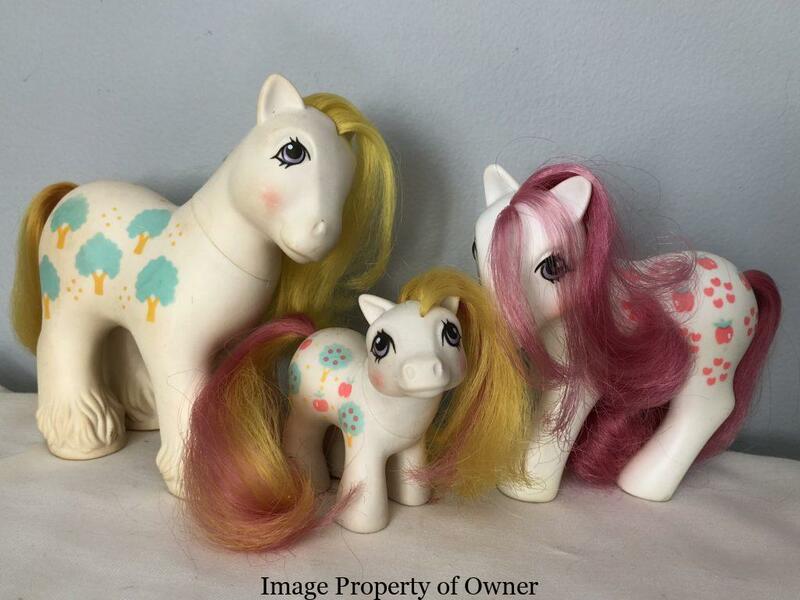 Read all about em on the updated Brush n Grow Pony page here on Yello80s.com ! g1 mlp My Little Pony Pony yello80s yello8osLeave a Comment on Pony fans rejoice- new pony pages on Yello80s! 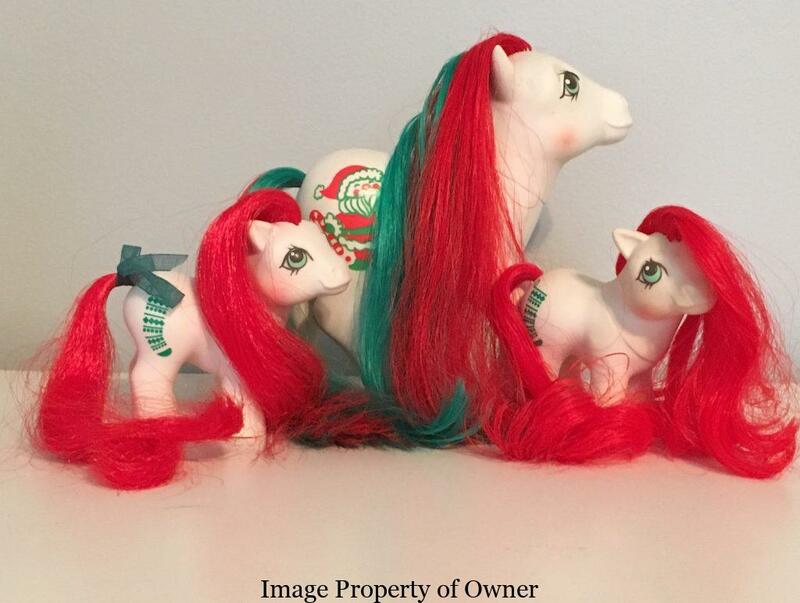 Merry Treat was a special holiday edition G1 My Little Pony.